WHAT ARE YOUR RIGHTS IF YOU HAVE A CHILD BUT ARE NOT MARRIED TO THE MOTHER? You will need to file a Paternity Action in the District Court. This is necessary even if DHS has already determined that you are the child's father. Until you establish your legal rights, the mother has sole custody. You have the right to request a DNA test to be certain the child is yours. You also have the right to visit the child and make important decisions in the child's life. You need to immediately begin paying child support if you are not already doing so. Keep a record of all payments. If you are visiting, keep a record on a calendar of all times you visit. Your visitation cannot be denied if child support is not being paid. On the other hand, child support payments cannot be withheld because you are being denied visitation. The Standard Visitation Schedule for Oklahoma County is found at the following link:www.okbar.org/public/brochures/divbroc.htm; Keep in mind this is supposed to be the minimum visitation, and you should be able to visit more often. 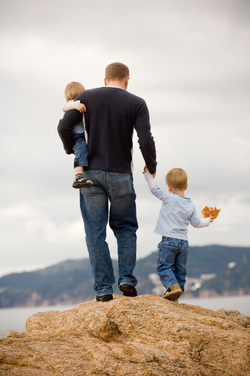 At the Father's Parental Rights Law Center, we believe that parents should have equal time with their children. Some counties have infant visitation schedules, which are extremely limited. You can read more about visitation issues at this link: Oklahoma's Advisory Visitation Guidelines. Contact us if you need help with either establishing or modifying custody of your child(ren).